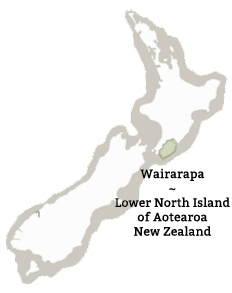 Wairarapa's right in the centre of New Zealand, and just a short hop over the hill from Wellington. Jump on State Highway 2 for a direct, scenic drive up through the Remutaka (Rimutaka) Pass and down into the Wairarapa plains. It's 1hr 10 to Featherston. Add another 15 min for Greytown or Martinborough, or 20 min for Carterton or Masterton. Check conditions on the Remutaka Pass on web cam. Please note that during March 2019 the Remutaka Hill will be closed for essential road works from 9pm to 4am over two lots of five consecutive nights. Learn more here. To get to Greytown on weekends you’ll actually need to get off the train at Featherston Station. This arrives at 10.55am. You hop on the route 200 bus waiting at the station at 11.00am which takes you to Main Street Greytown. You’ll arrive there at 11.20am. To get back to Featherston to catch the train back to Wellington on weekend afternoons catch the route 200 bus at 4.55pm outside St Johns Hall (opposite The Hub) on Main Street, Greytown. This will get you to Featherston Station at 5.10pm in time for the train. You'll return to Wellington at 5.25pm. Up North or down South? 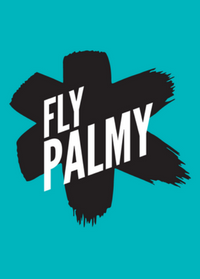 Fly Palmy! It's easy to fly into Palmerston North airport, hire a Cross Country Rentals car then drive onto Wairarapa. It's 1hr 15 from Palmy to Masterton - follow the signs to Woodville. This easy drive takes you through rolling countryside and a bunch of fun places to stop along the way. An Intercity coach service runs between Masterton and Palmerston North via Woodville. Take a look at the Intercity Coach timetable or bus times here. The bus stop for the Masterton to Palmerston North service arrives and departs outside the Masterton i-SITE. Rent a car - check out locally based companies and those nearby. It's an easy drive down the Classic New Zealand Wine Trail from the Bay. Just two and a half hours from Napier to Masterton. Check the road conditions in the Wairarapa. Main roads closed between Wairarapa towns? Check our these alternative routes. See a list of electric vehicle (EV) charging stations located right around the Wairarapa.